Thanksgiving is just around the corner, and if you're anything like me, despite your overwhelming excitement for the best holiday of all time (take that, Christmas! ), you've managed to delay any planning until the absolute last minute. If that's the case, or if you're looking for a nice filler for your Thanksgiving feast, we've assembled a collection of sides, mains, desserts, and all around healthy Thanksgiving recipes from some of our favorite food blogs that will please whatever vegans, vegetarians, or meat-eaters may show up to your table. Try them out, and you and your guests are sure to have very happy bellies. 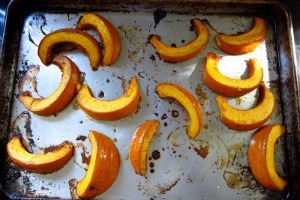 Pumpkin is awesome this time of year, even when it's not in pie form. 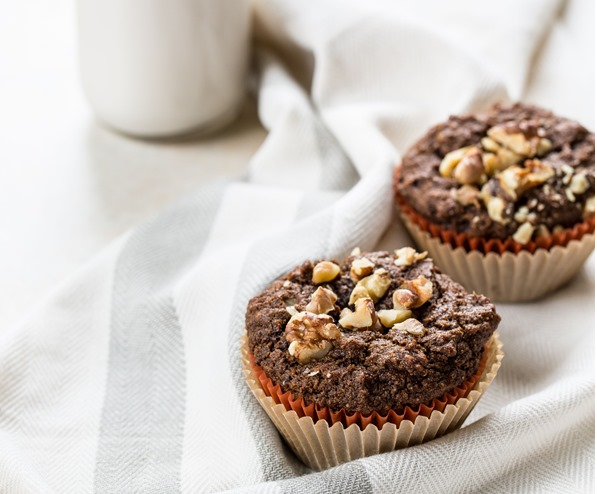 This recipe will leave your guests happy and healthy (at only 132 calories per serving). And with the great combo of salty, sweet, and sour, you can't go wrong! Get the recipe at snack-girl.com. 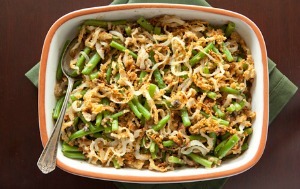 Green bean casserole is a Thanksgiving classic. It wouldn't quite be Thanksgiving without it. But all the fried onions on top can really rack up the calories. This recipe is awesome, because you make your own fried onions (using FiberOne cereal, no less), which is way healthier. At 125 calories per serving, you definitely won't be feeling so sluggish later in the day. Find the recipe at laaloosh.com. Could a dish look any more festive? With an awesome combo of peas, brussels sprouts, and mint, this side is sure to please your tastebuds. Get the recipe at thelazybaker.co.uk, and if you've never had brussels sprouts at Thanksgiving, get ready to start a new tradition! Call it what you will, stuffing (my personal choice), dressing, or filling, but stuffing is one of the most delicious parts of Thanksgiving. However, it can also be one of the worst for your waistline. 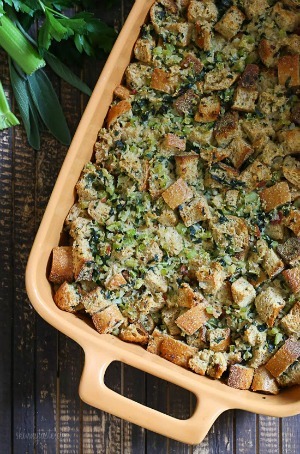 But this stuffing recipe is dressed a bit down in calories (coming in at 161 calories per serving), so you can feel good about eating as much as you want. Get the recipe at skinnytaste.com. 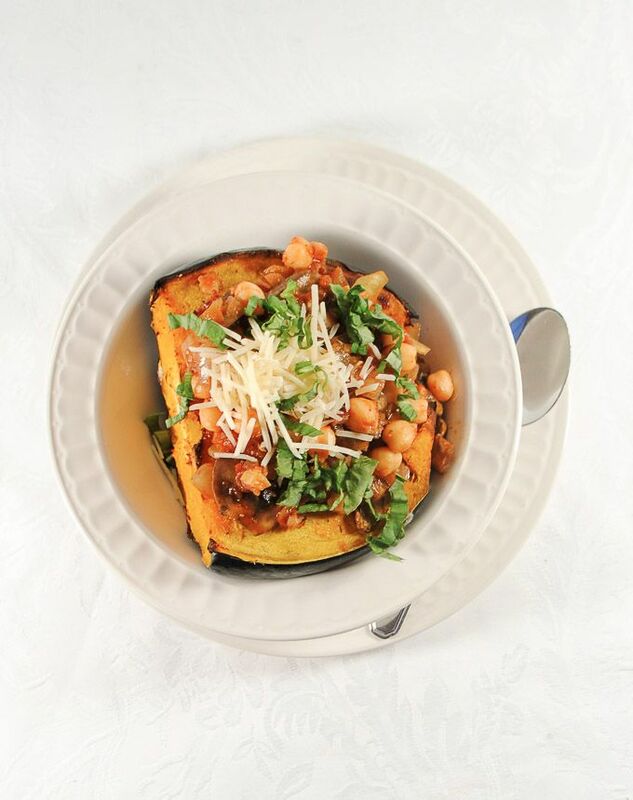 Try a different kind of main dish with these Italian-style stuffed acorn squash. Perfectly seasonal, filling, and easy, they could just turn into your new comfort food. At 444 calories per half, feel free to indulge! Try the recipe here at motherrimmy.com. 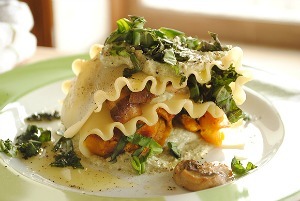 Speaking of comfort food, what's more comforting than a good lasagna? Lasagna also isn't your typical Thanksgiving food, but you're sure to please your vegan and vegetarian friends with this New World twist on the Italian favorite. Plus, it's almost too beautiful to eat (although I'll give it my best shot). Find the recipe at pickyeaterblog.com. If you're looking for a vegetarian alternative to turkey, leave the Tofurkey at the grocery store! 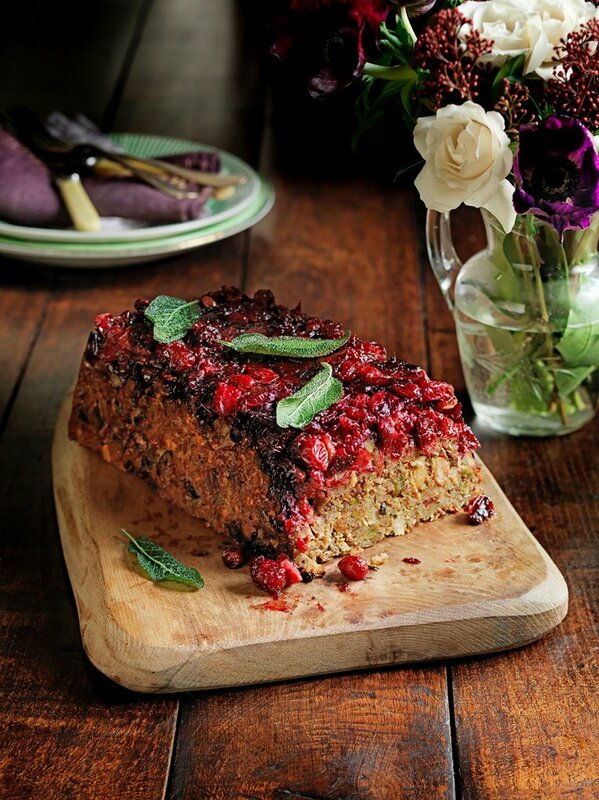 Try this pistachio nut roast from Jamie Oliver instead. 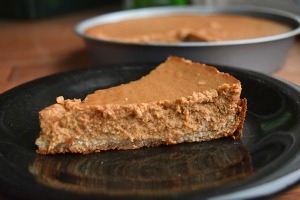 It's really easy to make it vegan, too, and is 413 calories per serving. How can you go wrong? 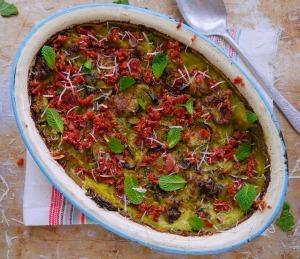 Get the recipe at jamieoliver.com. If you're from the South like me, pecan pie is an absolute must. However, it's definitely not a "must" for your waistline. 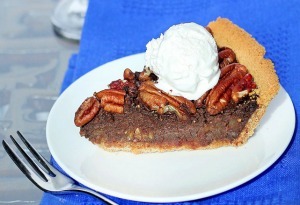 It's a good thing that this healthy, chocolate pecan pie is here to save the meal! Ringing in at 245 calories per slice (instead of the traditional 579), you can have two pieces and still be under the caloric cost of one normal piece of pie. Sounds good to me! Get this awesome recipe at chocolatecoveredkatie.com. The one thing my family always has to have at Thanksgiving is pumpkin pie. When my brother was younger, it's one of the only things he would eat. Understandably so, because it's delicious! Here's an awesome, lighter version (at 270 calories per serving), that's sure to be taste bud and waistline friendly. Find the recipe at greenlitebites.com. Our last recipe could be a follow-up to Thanksgiving dinner, or served for breakfast the day after (to get you warmed up for a day of awesome leftovers!). Plus, they're vegan, soy-free, and guilt-free. Try the recipe on ohsheglows.com. What are your favorite healthy Thanksgiving recipes? Share with us below!